If you are a quilter (or any type of crafter), likely you make handmade gifts for others. How often does someone make a handmade gift for you? 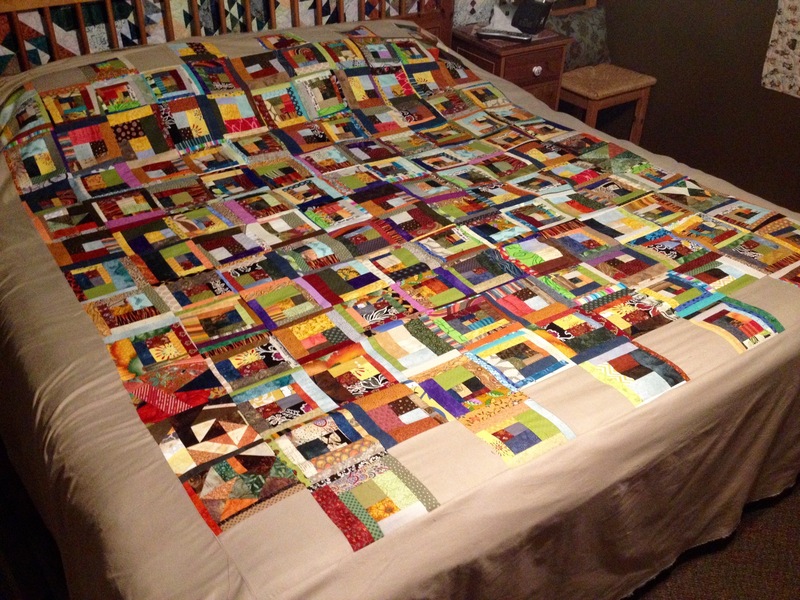 I know many quilters who make quilts for others but have not had a quilt made for them. A couple of years ago my annual quilt retreat buddies decided we would remedy this, and I decided we would draw names and make a quilt for a secret quilt sister to be unveiled at the next annual retreat. I love to give handmade gifts and I also love to receive them. I appreciate the time, love, and workmanship goes into making something by hand! 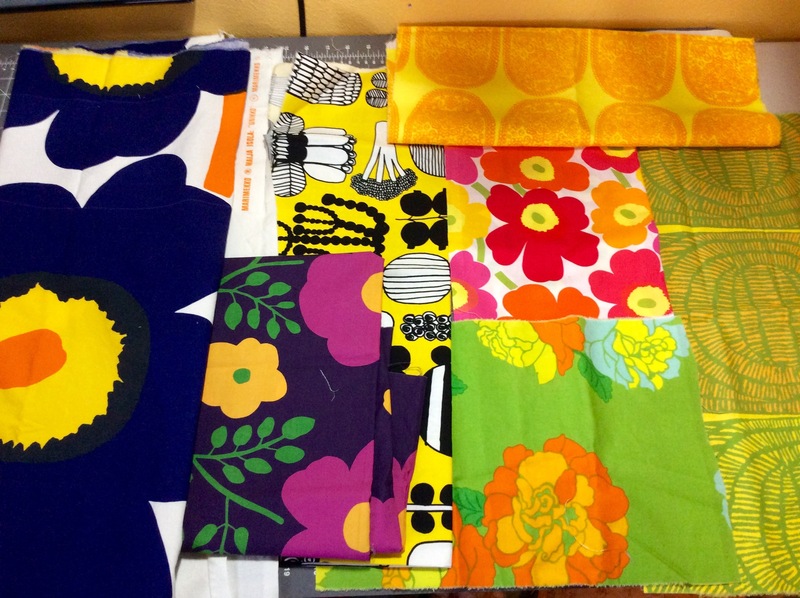 Thanks to my dear friend in NYC whose partner is Finnish and travels to Finland at least once a year, I am starting to amass a nice collection of Marimekko Fabric. This Finnish fabric is boldly colored and has large scale and unique modern and Scandinavian designs. I find it so visually pleasing! I am so completely in love with this fabric that if I were to visit Finland, I would have to bring a large empty suitcase just for my Marimekko Fabric purchases at the outlet in Helsinki! My friend only is only able to send me a little at a time (she bring back from Finland only what she can transport in her suitcase with her other items). However, I recently discovered that in NYC there is a Marimekko Flagship store! Next time I visit my friend in NYC, I will have to insist her take me there! I am not sure she will be able to get me out of the store (no, no, no I will remember my commitment to buying less stuff and living with less…maybe…the Marimekko store may need to be an exception). Confession: This fabric is so “precious” I have to admit I have only made one thing with the fabric so far: a small zippered bag for my friend who sends me the fabric. 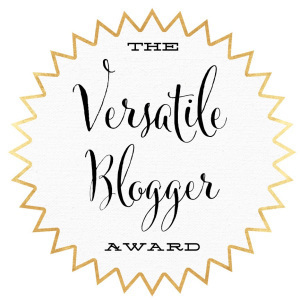 One of the things I enjoy about blogging is it gives me an imaginary sense of accountability: that I need to follow through on my projects so I can post about them! In my 11/12/15 post, Terry the *Not” Quilting Husband, I shared that I was going to take a break from quilting and work on handmade holiday cards. I did and finished about 20+ handmade holiday cards using recycled images from “dog of the day” calendars and scavenged items and images from other handmade or professionally manufactured cards. I am not posting photos as I want to respect the copyright on the images which belong to other photographers. I used heavy cardstock for the cards in red or green and inserted (if I remembered) folded plain white paper to make writing the holiday greeting easier. Some of the cards I decorated with a ribbon tied through the center. Lesson Learned: do not wait until Thanksgiving weekend to start making handmade cards! In my 12/6/15 post, What’s on the Design Wall: Backlog, I shared that I discovered 120+ 6.5 inch log jam blocks (scrappy pieced log cabin style blocks) that I had pieced earlier this year. I added in a couple extra blocks recycled from a friend’s discarded blocks and pieced a king size quilt! I will send it off to the long-arm quilter once I figure out what color to use for the backing. I want to do a solid color back, not a pieced back. I am going to buy some 108″ wide backing fabric for it. I set the log jam squares to float in khaki-colored Peppered Cottons fabric, which I had listed on my tierneycreates Etsy shop. I decided to pull it from the shop and use nearly the entire remaining bolt of fabric to do the float blocks and wide border. I have a little left of the fabric but not enough to list on the shop any longer. 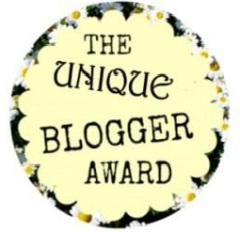 This is a follow up to my post on 11/9/15 – A New Way to Offer my Handmade Items? After applying to be considered as an “Artisan” on Handmade at Amazon and having my portfolio reviewed by their selection committee, I was accepted to be an Artisan on Amazon.com’s Handmade at Amazon. I have several e-mails from Amazon to review and figure out how to set up my Amazon.com shop. I still plan to keep my tierneycreates Etsy shop and I am trying to figure out what to sell through Amazon and what to sell through Etsy. I need to sit down and do some product planning. Of course, the full-time-healthcare-industry-pay-the-bills gig I have tends to interfere with my handmade item production time! The seller/home owner looked at me like I had lost my mind and replied “Well you can pay me more for it if it makes you feel better!” I gave her the $2 and quickly left the garage sale (before my foot reentered my mouth), but this began my obsession with “rescuing” granny square afghans. I only daydream someday of making a granny square afghan. I have several craft books about making them (does that count?) but I have yet to make one. I so appreciate the work and craft that goes into making one. The ones in the photo below are from garage sales and thrift stores. My most recent one (in the upper right hand corner) was a gift from a friend that got it for $1 at a thrift store. 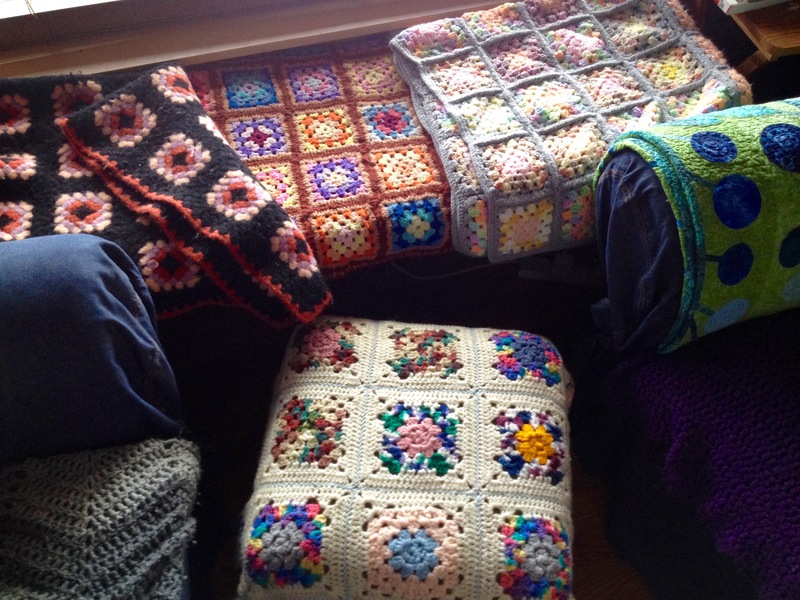 I shudder at the thought that maybe one day one of my quilts that I spent months making (as I am sure these granny square afghans took to make) will be on sale for $1 – $2 at a thrift store or garage sale. Of course all crafters have to remember: Once you give someone a handmade item as a gift, you have to let it release it emotionally – you have no control over what happens to it next. (It took me awhile to learn this lesson). As long as they do not become clutter in my home (just how many granny square afghans would be considered “clutter”? ), I will keep “rescuing” beautiful granny square afghans and giving them the love and appreciation they deserve! Every year our Miniature Schnauzers begrudgingly endure an annual holiday photo in front of the Schnauzer (and Dog) Themed Christmas Tree. This year I want to share this photo (usually taken in poor light while trying to keep the dogs still by bribing them with biscuits) with my readers and wish you all HAPPY SCHNOLIDAYS and a VERY HAPPY NEW YEAR! Tierney of tierneycreates, Terry (aka “Terry the Quilting Husband”), Sassy the Highly Opinionated Miniature Schnauzer (Schnauzer Snips) and Mike. Interested in experimenting with solids, I made these 6.5 – 8.5 inch pieced blocks a couple of months ago. I recently put them up on the design wall to decide what I wanted to do with them. I am thinking of making them a series of little decorative modern art pillows to sell on my tierneycreates Etsy shop. In my early days of quilting, I was rather impatient with the last stage of completing a quilt – “sewing down binding”. In my mind I was quickly sewing down the binding to the back of the quilt. In reality I was sloppily sewing down the binding to the back of the quilt. Recently I went to wash an old (my early days of quilting) quilt, and discovered the binding was loose and missing in some areas. I took a good and honest look at the stitches in the back of this old quilt, and I was APPALLED. Yes that is appalled in all caps because that is how I felt. As you can see in the image below – on the left side of the rectangle is where the thread left the binding; and on the right side is an example of my sloppy stitching. (Yes, it looks like I was under “some chemical influences” with one eye closed, while I was sewing). I am going to remove the old binding and redo the entire binding. This time I will carefully sew it down. I did not realize I had an issue with being sloppy with sewing down binding until a couple of years ago when a friend asked me to help her sew down binding on her quilt. We were at a quilt retreat and in the process of taking a break from sewing and doing the local “quilt shop hop” near the retreat center. I was sitting in the backseat with a couple other quilters (two were up front and one of the them was driving of course, as we have yet to afford the special QUILTER AUTOMATED VEHICLE that drives you around on its own to quilt shops while you visit with your friends and sew). My friend had a lovely quilt for her son that she was trying to finish and brought along to work on in the car, as it only needed its binding sewn down. So she gave me one end of the quilt to work on while she worked on the other. She tried to be polite, but she had to remove and redo all the stitches I had done. This is when I realized (as the truth was now starring me in the face): that I need to take sewing down binding more seriously. Binding a quilt deserve the same level of care and patience that goes into piecing a quilt. I committed to becoming a better “quilt binder” and my quilts over the last couple of years and had high quality binding stitching. Interesting: once you get into the habit of doing something correct, sometimes you forget what you used to do in the past. I was in shock when I saw what I had done on the old quilt! Originally when writing this post I was going to title it: “Quilter’s Hall of Shame: Binding”. However ever since listening to the audiobook of Brene Brown’s book Daring Greatly (2015) I have no time for the concept or feelings of “shame”. I figure life is a learning and growing experience (for a summary of key insights I gained from reading this book, see my post Life is Nonfiction Part II) and I am not going to fill it with any feelings of shame. My Quilting Group had a “Secret Santa” style handmade ornament exchange. I am not into the traditional Christmas colors of red and green, so I used a non traditional palette of bright green, blue, orange and red. Inspired by the free form log cabin blocks I like to piece, I made a miniature “log cabin” style block as the ornament. The recipient has received her surprise, so I can now post these photos! 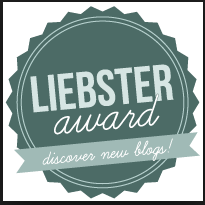 Check out Sassy the Highly Miniature Schnauzer’s latest musing on her Schnauzer Snips page. My sister loves wolves and I wanted to make her a quick quilt for the holidays. She and her family have been the recipient of many quilts from me over the years. These quilts were more complicated and elaborate quilts that a “panel quilts”. 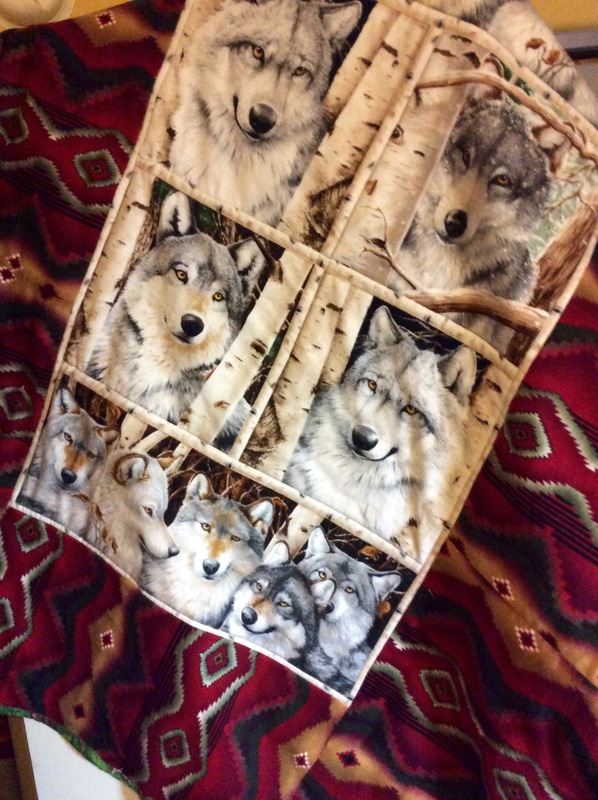 She loves wolves and I came across this wolf panel a couple months ago and knew it would be an easy quilt to make that would give her a big smile! I finally realized that not every quilt made as a gift needs to be a major project, it is okay to do something quick but thoughtful! The photo is not the best as I took it in a rush before packaging it up to send it across the country. She already opened up her gift and loves it, so I can share. Not all quilters are like me: saddled with a backlog of projects. I know quilters who (they are freaks!) work on ONE project at time, seeing it through completion, and not starting another project until their current project is complete. My mind does not work that way. I am basically that golden retriever in the movie Up, who says “Squirrel!“when I see a new project to start. I am easily distracted and I tell myself I will get back to the current/previous project eventually. In this pile under the cutting table, I discovered 120+ 6.5 inch log jam blocks (scrappy pieced log cabin style blocks) that I had pieced earlier this year. With the assistance of Terry the Quilting Husband, I got them sewn together and now they are on the Design Wall awaiting assembly of the rows. I have a total of 10 rows with 12 blocks in each row. I am hoping that by floating the pieced blocks in a solid color border, I can make it a twin, full or queen size quilt top. I will post a photo when the top is complete (before it journeys to the long-arm quilter). This brief post continues my series on Sources of Creative Inspiration. I do not have the best photography skills, however occasionally take a really good photo, capturing a special moment, and I am really pleased. I admire people who have a good photographic eye and take photos with strong composition. Sometimes I am creatively inspired by someone else’s photos. An old friend of mine in New York took this photo and included it in a recent e-mail. I am drawn to this photo and would like to create a future art quilt inspired by this photo! I would love to hear about your sources of creative inspiration! I feel very strongly about giving artistic credit to someone’s work. This is why I have not share this news until now. I have known for a couple weeks. Normally news like this would be very exciting and I would have immediately shared it. But I feel embarrassed as I made a careless mistake (the result of multitasking and trying to complete something quickly). 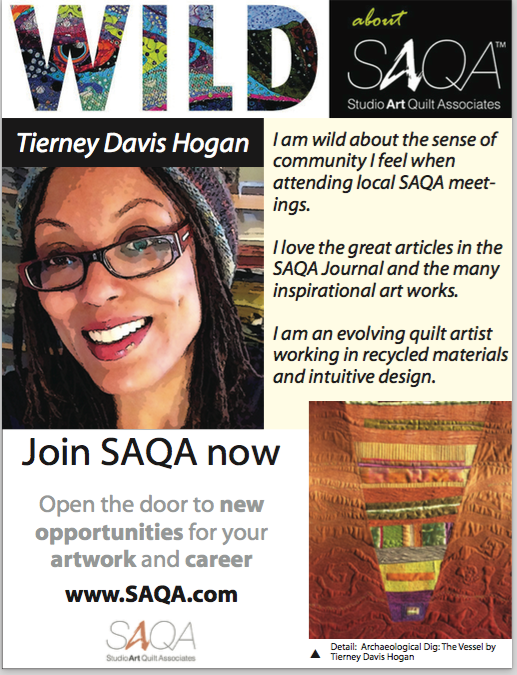 I am a member of SAQA (Studio Art Quilt Quilt Associates), and in the most recent edition of the SAQA Journal there was a separate insert/form included in the mailing, inviting SAQA members to fill out (what I thought was a survey) a form related to their “Wild About SAQA” campaign and e-mail a photo of yourself, your completed form, and a photo of your artwork. I thought it was part of a SAQA member registry where other SAQA members could see your survey responses, your photos and a sample of your quilt art. I e-mailed the completed and scanned form; the Tierney photo I use on my blog; and a recent collaborative piece by Betty Anne Guadalupe and myself from The Wardrobe Meets the Wall Collection – Archaeological Dig: The Vessel. I designed and pieced this art quilt and Betty Anne did the beautiful long-arm quilting on the quilt. I worked on this during my lunch break at work while also trying to think through a challenging work issues at the same time. I thought I had provided the proper credit on the piece. I thought I had put the caption: “Designed and pieced by Tierney Davis Hogan, quilted by Betty Anne Guadalupe” with the photo. This is exciting news I would have normally posted about it immediately, however I discovered that Betty Anne’s name was no where to be found under the caption of the piece. I also discovered I had accidentally e-mailed the “detail” photo of the piece (used for juried show submissions) instead of the full photo of the piece that I meant to send. It was a screw up all around and confirmation of the dangers of “multitasking”. I asked the SAQA media person if this could be fixed but it was already to the magazine publisher. It was time to tell Betty Anne about my huge screw up. She was most gracious about it. Thank goodness she know my feelings and ethical stance about always giving proper credit. I consider the art quilts I make for our The Wardrobe Meets the Wall Collection to be collaborative. It is her quilting that makes my pieces so special! I was hoping no one I know would see the ad and that it would all just go away, as I was riddled with embarrassment. Finally, I decided not to feel shame about the screw up, and just try and embrace the excitement of being featured in an ad in Fiber Art Now. The lesson learned to to slow down, be careful, and ensure that artistic credit is always given when due.